Disney is remaking many of its animated properties into live action films. That’s really not any news, that’s honestly at this point a punchline. However, Dumbo, The Lion King, Aladdin— they’re all already good as is, aren’t they? They’re perfect movies, and making them into live action films kind of defeats the elements that made them these absolute spirals of magic to begin with, right? 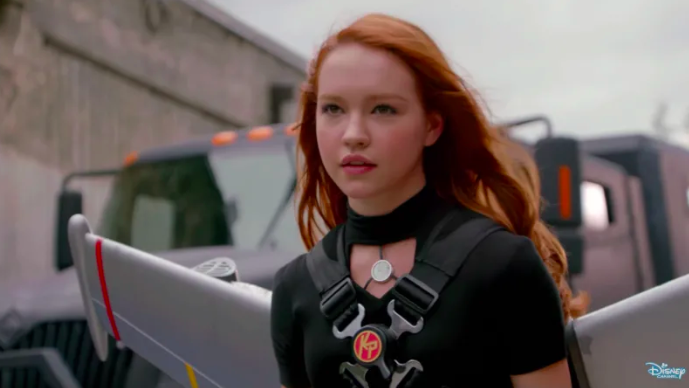 All except for one movie that’s been kind of hiding under the surface– the Disney Channel adaptation of that 2000’s animated teenage spy hit — Kim Possible! Kim Possible followed the adventures of a teenage cheerleader who moonlights as a superspy. Along with her sidekick Ron Stoppable, and her naked mole rat Rufus, she goes out into the world to stop the likes of Shego and Dr. Draken from taking it over. And now, the live action trailer for the Disney Channel adaptation is here and we’ve yet to see an animated to live action adaptation that felt both so loyal to the source material, and to benefit from going into the real world. I mean seeing Kim Possible as an actual teenager really hammers home the fun that Robert Rodriguez figured out way back when — seeing kids kick everyone’s butts is just plain old fun. The movie stars Sadie Stanley as Kim Possible, Sean Giambrone as Ron Stoppable, Alyson Hannigan as Kim’s mother (oh, cool! ), Todd Stashwick as Dr. Drakken, Taylor Ortego as Shego, Issac Ryan Brown as Wade, and Patton Oswalt reprising his role as Dr. Dementor, the same part he played on the original animated series, which is pretty cool. Plus, the whole thing is written by the show’s original creators Bob Schooley & Mark McCorkle, so you know things are going to be great! If this does well, Kim Possible could become the kid friendly James Bond film franchise it was always meant to be. Maybe future generations can argue forever who should or shouldn’t play Kim Possible, the way we weirdly and often badly do over Bond. Fun! What do you think of the Kim Possible trailer? Let us know in the comments or on Twitter at @WhatsTrending. Happy Channukah: Here Are Some Amazing DIY Menorahs!